Alumni & Friends Mnemonic, 3rd ed. Welcome to the 3rd edition edition of the Madeira Schools Foundation newsletter! Our mission is to share district and Alumni news, connect Alumni and share resources to the most up-to-date information about your Madeira Schools Foundation. In May 2018, every member of the Madeira High School (MHS) Class of 2018 attending a college, university, career training program, or entering the military received a $250 monetary scholarship – that’s right, every student! They were the first recipients of the very first Made in Madeira Scholarships . The story of the Made in Madeira Scholarship is one that doesn’t end – and thank goodness for that! 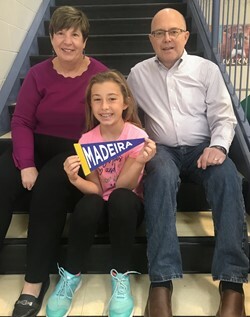 It’s the story of a long time Madeira community member who loved the schools so much he wanted to see his legacy continue through every future graduate. Because of that one gift, there is now a way for any Madeira alumni and friend to participate in this by adding to a fund that will contribute to every graduate for years to come! Celebrate national #GivingTuesday by donating today! 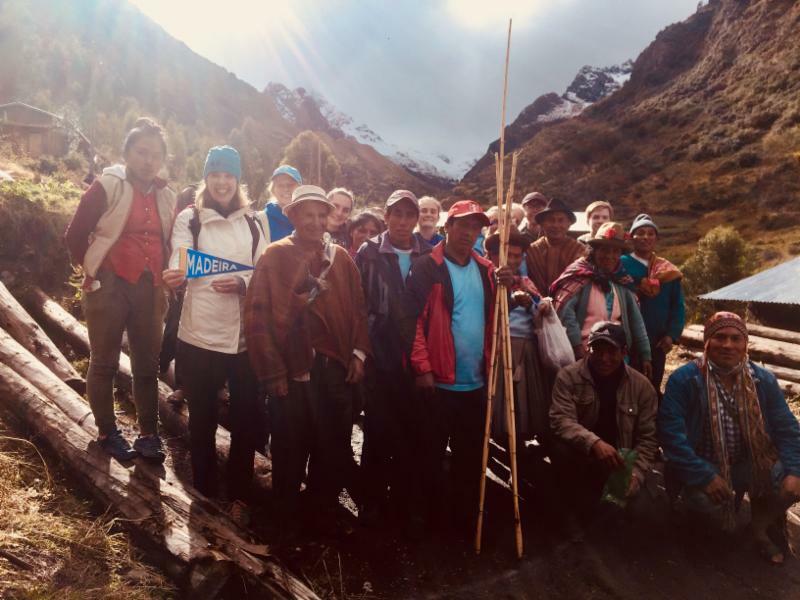 To read the full story click here Made In Madeira Scholarship Story . To make a donation please click here Madeira Schools Foundation. When I think of the excellence in education that represents Madeira City Schools, I can’t help but thank the many, many alumni, parents, staff and community members that have made it all possible. The legacy of excellence continues to be built upon this same formula – great kids from great families taught by a caring teaching staff in a supportive community. 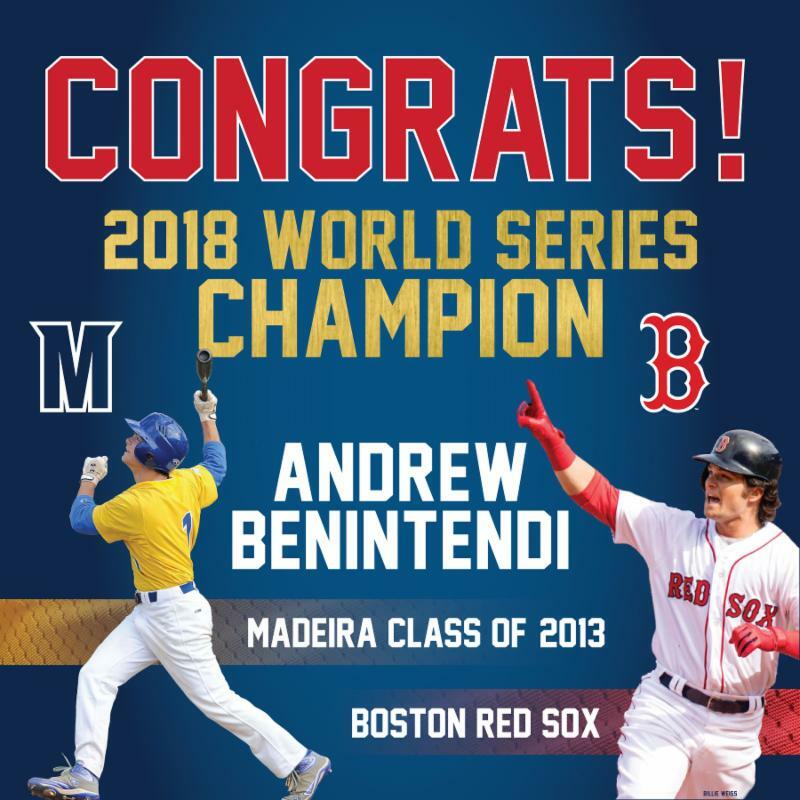 This secret formula has been going on for generations and when it occurs in our tight-knit Madeira community, the sky’s the limit on what we can achieve! From time to time, I run into alumni that want to reconnect and know how things are going. About three weeks ago, I met with David Pohl, Madeira High School Class of 1941! 78 years later, Mr. Pohl, now 94, had received a Madeira mailing and drove himself to the high school. It was a wonderful time to hear his stories of Madeira, living on Miami Avenue back in the late 1930’s, and his love for Madeira and graduating from Madeira High School. 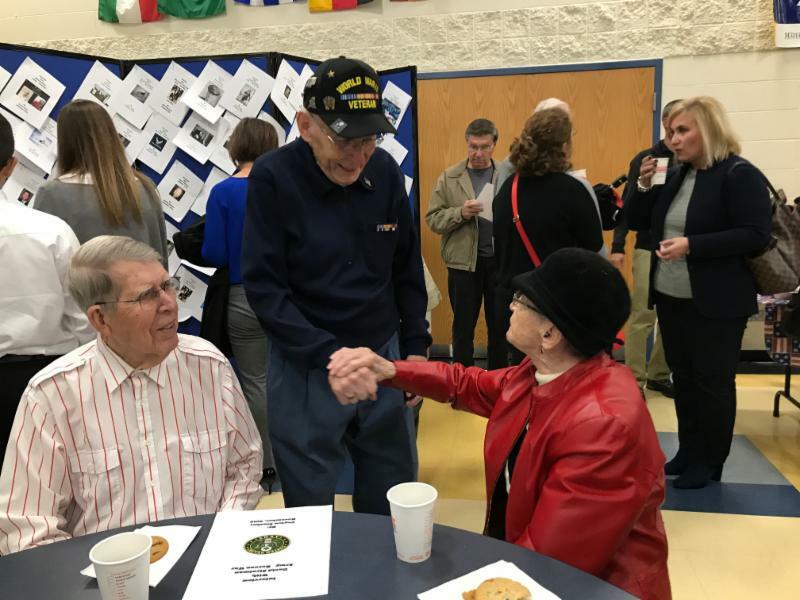 He recalled many of his classmates, got a tour of the building, and shared stories of life after high school in the Navy as a WWII Veteran that led him to a long career in business. The time was so special, I gave him a “homework assignment” to come back and speak at our Veterans Day program at Madeira Middle School on the grounds of his old high school – so that we could honor his service to our country and also offer him an official welcome home. 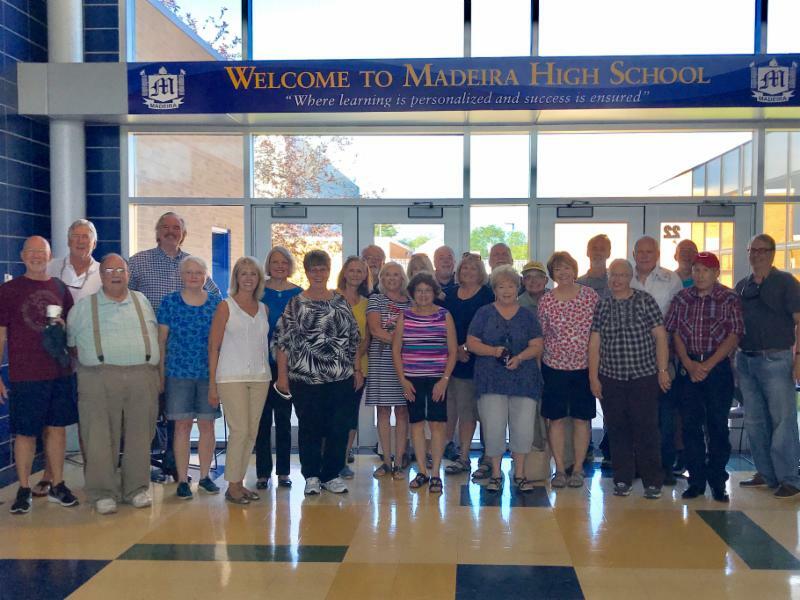 It’s these special moments with alumni and friends of Madeira that make our school district so great. So stop in, call or email me so that I can share some more great news about what makes Madeira such a great place for kids. 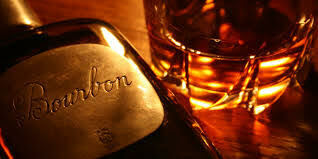 Register now for the Annual Bourbon & BBQ Event at Depot BBQ! Visit our Events page for more information and to register. Save-the-Date for the 34th Annual Auction! Please visit the Madeira Schools Foundation website in early December to purchase tickets to this event. Hope to see you there! Distinguished Alumni: an individual who has significantly contributed through his or her professional life to the betterment of society and hold a reputation as a respected leader in their selected profession. Distinguished Citizen: an individual who has significantly contributed service and support to Foundation efforts and activities. Distinguished Staff: an individual who has significantly contributed to the goals of the Madeira City Schools and must have been acknowledged by the community, staff, students and parents as a positive role model for students. 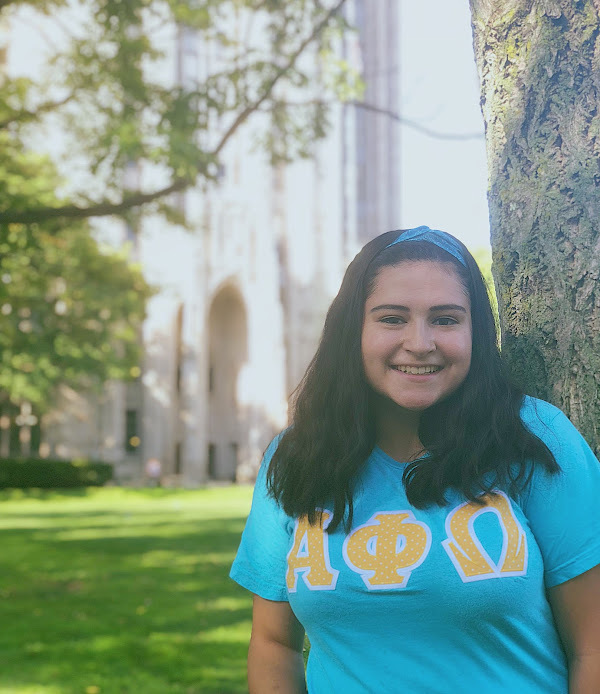 Congratulations to the 2018 Madeira Schools Foundation Ruth Slagel Crawford Alumni Scholarship recipient: Cecilia Jiminez ! This award is given to a Madeira High School alum who is currently enrolled and pursuing a college degree. This $5000 scholarship is selected by a committee through an application process. The application for this award is open each spring and will be announced on our web site and through this newsletter. Thank you to everyone who came out to support The Madeira City Schools in the Foundation Golf Classic! 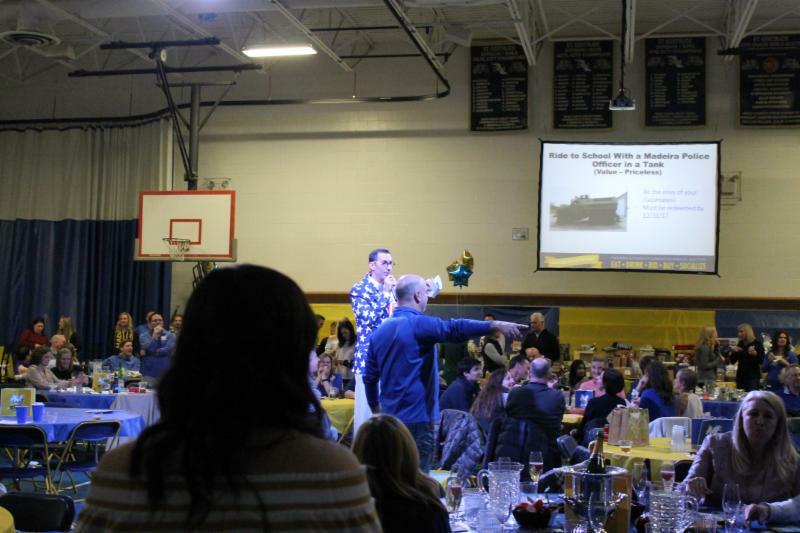 Over $20,000 was raised to support technology across our district. A special thank you to our sponsors: Madison Advisors, Prus Construction, Tristate Orthopedic Products, Paycor, Stock Yards Bank, Tri-State Blind Cleaning, Kingsgate Logistics, Montana Tom's Walking Sticks, Cincinnati Metals, O'Cull Business Group, Oyler Group, Louisville Tile, Cincinnati Mosaic, First Financial Bank, New Era Logistics, Forward Edge, Precision Staffing USA, Pat & Jacque Gentile, Chris & Peggy Nachtrab, Tim Weber, Kenji Matsudo and W.E.W. Co, INC.
We will welcome back the classes of 1968 & 1998 this year! Stay connected to learn more about your class events by sending visiting our reunion page and updating your contact information. 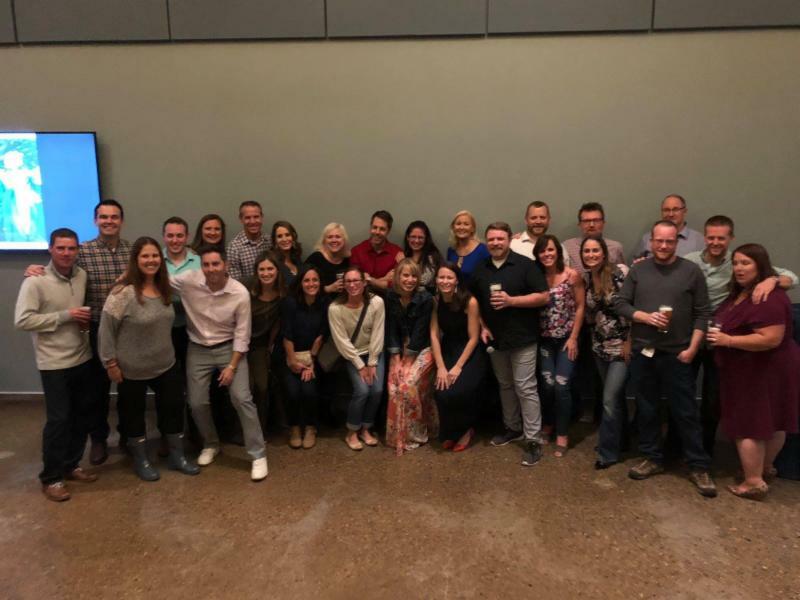 The class of 1998 celebrates their 20 year reunion! The class of 1968 celebrates their 50 year reunion! *Get more back at tax time by making your donation to the Madeira Schools Foundation by December 31! Consider your city schools in your annual giving! 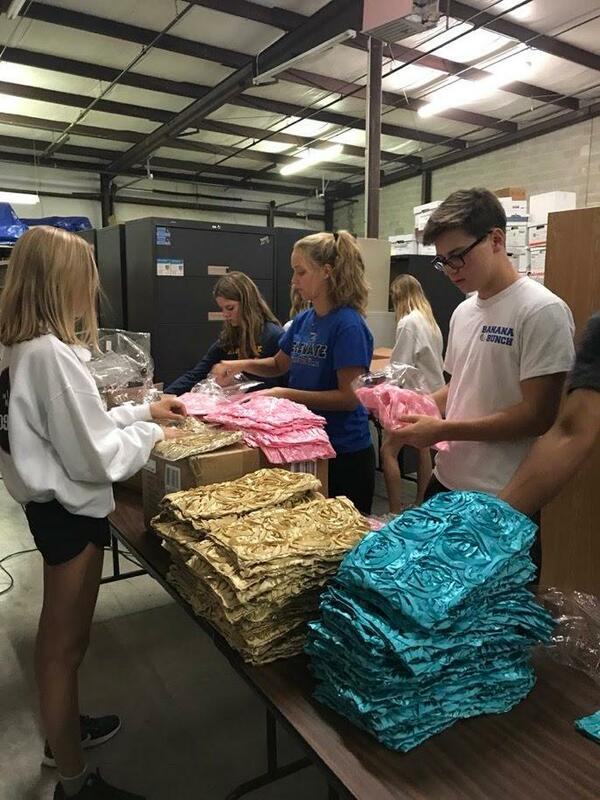 There are many ways to give back to the students, teachers and programs of the Madeira City Schools. In the past our donors have supported the new JTouch Interactive Whiteboards, the state-of-the-art fitness center, 11 student scholarships and the annual Day of Service. 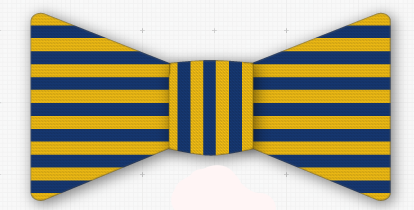 Madeira bow ties are half off for a limited time! Pick one up for your favorite Friend of Madeira. All proceeds go to the Steve Kramer Scholarship Fund. You may also purchase by cash or check by contacting Mindi by email or phone 513-924-3725. 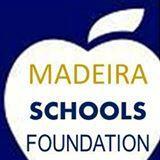 What is the Madeira Schools Foundation? 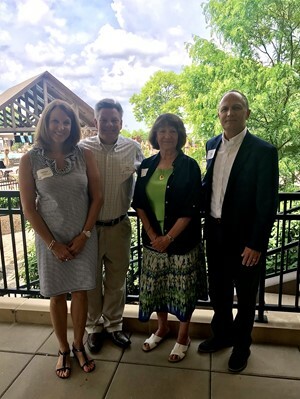 The MSF board members are a group of devoted parents, community members and alumni working to raise funds for the district. These funds have supported technology, the state-of-the-art fitness center, and twelve scholarships awarded to graduating seniors and one alumni currently in college to assist with the ability to continue their education. The board is working on a strategic plan to increase awareness of these efforts and add new and exciting ways for you to get involved. Learn more about our board by visiting our web site. 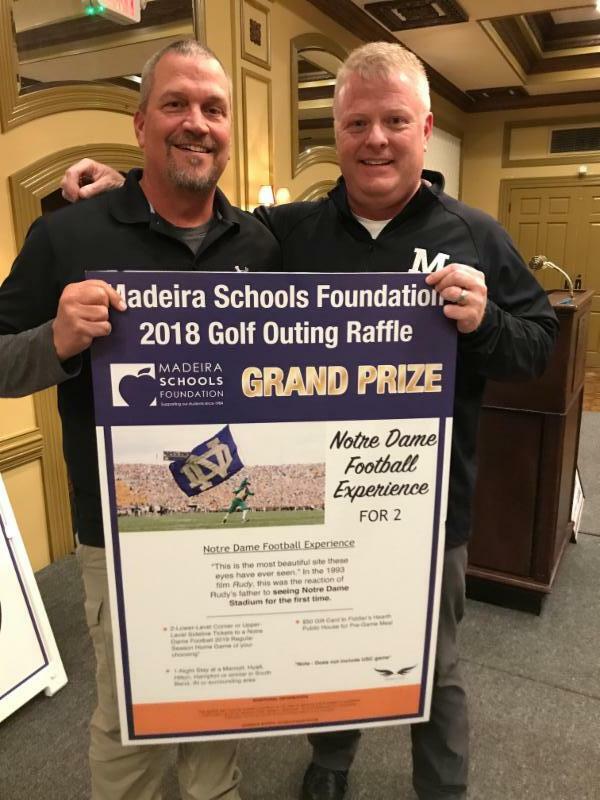 The Madeira Schools Foundation is a 501(c)(3) not-for-profit organization that was established in 1984 to financially support continued excellence in education for the Madeira City Schools through endowed and immediate gifts.